Allow us to take care of you and your loved ones! We at Samah Home Health Care, LLC understand the struggles and frustrations of not being able to accomplish something within the day due to a certain health or physical condition. That is why we offer Personal Care Assistant (PCA) Services to help every patient alleviate their burden by assisting them with their activities of daily living. 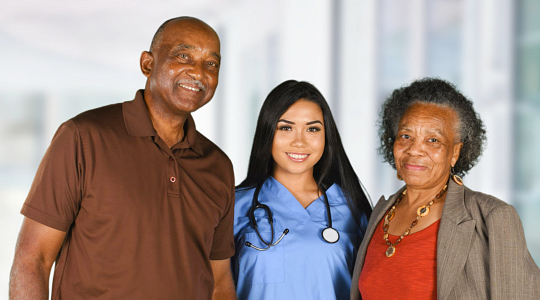 With the expertise of our staff members, you can assure that your loved ones will receive the optimum care they need to achieve the quality of life they deserve. We prepare delicious and nutritious meals for our patients to enjoy. We carefully select the food or ingredients to ensure that they will receive the right amount of nutrients their body needs. We make sure that our patients are properly fed, assisted with hand washing, and assisted with the application of orthotics as needed for eating. We are responsible for assisting patients with their personal care such as putting on clean clothes, hair care, nail care, oral care, deodorant, eyeglasses, hearing aid, etc. We provide assistance with their bath from start to finish, and assist them with their mobility and transferring to prevent slip or falls. We assist patients with their mobility, bowel/bladder elimination and care, etc. We make sure that our patient’s home is clean and organized to ensure the area is conducive to recovery. We assist patients with their mobility, helping them move from one place to another to prevent fall accidents. We make sure that our patients will not skip a dose of their medications and monitor their progress regularly. We are responsible for providing around-the-clock supervision and monitoring to ensure that there will be visible progress on their health. We can also run errands whenever you need us to go grocery shopping, pay bills, and anything that you need us to do. We assist and accompany patients in going to and from their doctor’s appointments, outings, malls, parks, friend’s house, and any destination that they want to go. Should you wish to avail of our PCA Services? Then please don’t hesitate to reach us at 320-455-2702 for more details of our services.